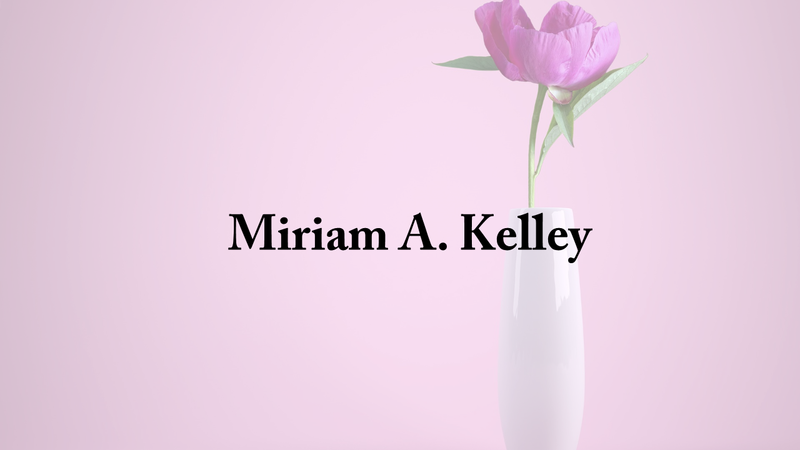 Miriam A. Kelley passed away Feb. 11, 2019 at the age of 91. She was born Oct. 2, 1927 to Daniel H. and Maudie Mae Collins Coggin. She is preceded in death by her husband Talmadge Kelley. Funeral services are Wednesday, Feb. 13, 2019 at Moss Funeral Home Chapel at 1 p.m. and interment will be in Cullman City Cemetery. Survivors are: daughter Leann (Mark) Reeling, sons Ronnie (Geralyn) Kelley, Bobby Kelley, Donnie (Rita) Kelley, 6 grandchildren and 3 great-grandchildren. Visitation is Wednesday from 11 a.m. until service time at 1 p.m. at Moss Funeral Home.